Bar manager, Will Rogers aims for symmetry betwixt drinks carte and the toothsome dishes fired by chef, Will Bowlby at this two floor site – sequel to the original pop-up in a Brixton community project. 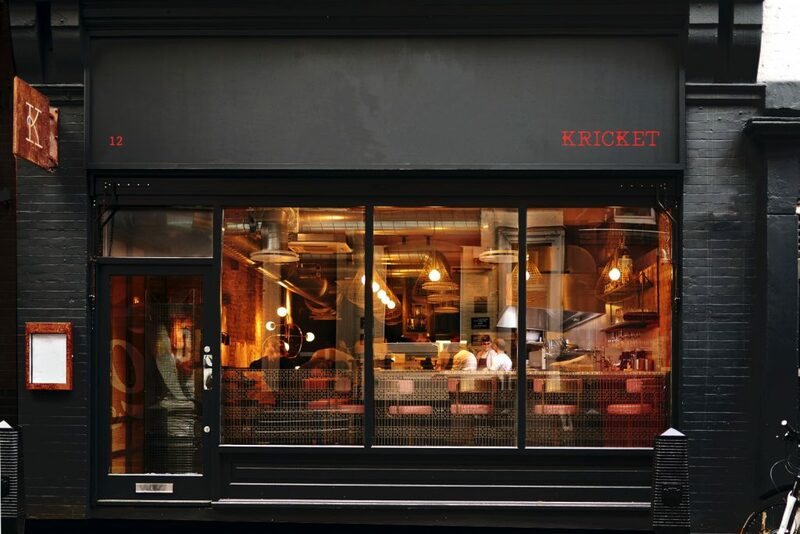 With a ringside counter overlooking kitchen action, which near inevitably ensures over ordering, Kricket is the permanent Soho incarnation of a pop-up which began in a shipping container berthed at Brixton’s Pop community project, home, until 2020, to 55 indie businesses. However, Rogers aims for symmetry betwixt drinks carte and the toothsome dishes fired by chef, Will Bowlby at this two floor site, the kitchen alone of which eclipses the footprint of the entirety of the original eatery. These may include samphire pakoras with date and tamarind chutney and chilli garlic mayonnaise, butter garlic crab with seaweed papad, and much written about, wittily titled Keralan Fried Chicken (‘KFC’) with curry leaf mayonnaise and pickled mooli.